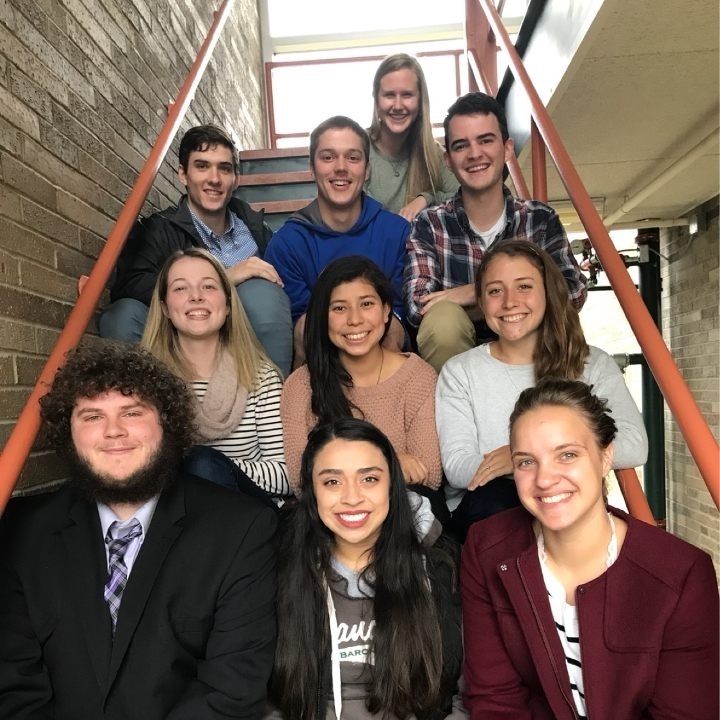 On this mission, a group of college students will spend their spring break serving the Peruvians who live in the shantytowns in the mountains of Lima. Service will include working alongside the locals to improve the safety and ease of access to their homes and also meeting their spiritual needs in any way possible. Each day begins with prayer and ends with Mass, and the missionary-students will spend one day of pilgrimage in Lima in order to gain a better understanding of and appreciation for the city and culture they are serving. Hi, my name is Christopher Thorpe, and I am a junior majoring in Theology, Philosophy, and Catechetics. My hometown is Newton, Iowa, and I enjoy playing the piano and listening to music. Some of my favorite players are Bill Evans, Brad Mehldau, and Chick Corea. I’ve done mission in Steubenville, Ohio and Žakovce, Slovakia. The love, joy, and simplicity of the people I met in Slovakia inspired me to live with that kind of love and to serve more of the Church in the world. God has been asking me to live in constant trust of him more and more as preparations for Peru advance, and I am so excited that he is leading our team to Lima together! Hi! 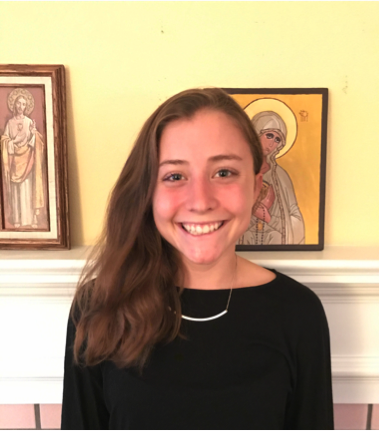 My name is Alicia Paddock, and I am a senior at Franciscan University and am studying sociology with minors in Spanish and Human Life Studies. My hometown is a small farming community in Northern California called Esparto. Fun facts about me include that I love cemeteries and local history, I was homeschooled and one of six, and I grew up (and still live at when I’m home) on an organic almond orchard that my family planted and operates! I have been on two mission trips prior to this one: I spent a month helping teach in a school in Santiago, Chile, and I went to Peru on a FOCUS mission trip in spring of 2016, which is when I received the calling to create and lead this Peru Mission. Since this initial calling, it’s been a lot of work to get everything set up, but I am loving it and am feeling so blessed by God to be doing His work in this way.¡A Dios sea la gloria! My name is Alexander Powell, and I am a senior majoring in math/statistics at Kenyon College, about two hours away from Steubenville. I am from Greenville, South Carolina. I play basketball at Kenyon, and I also lead Kenyon’s Newman Club. I have never had the opportunity to do a mission like this, and I am looking forward to being able to physically and spiritually impact the lives of others, as well as my own. Hi, my name is Bennett Schurr, and I am a sophomore Theology/Philosophy double major. I’m from Pottstown, Pennsylvania, and I enjoy reading and hanging out with my household at school. I am going to Peru to help those who may be unable to help themselves and to evangelize the people we meet there! Hi, I’m Bernadette Williams from Lyman, South Carolina! I am a senior Spanish major hoping to become a physical therapist and share my love for our faith with both English and Spanish speakers. I was drawn to Peru Mission by the simplicity and beauty of the mission – to be able to serve side by side with our brothers and sisters in Peru and to build up the Church in that beautiful country. I love to cook, run, read, and meet people from different cultures, and I am excited to share my passions with the people of Lima. Hi! My name is Cassandra Gonzales and I am a senior English-writing major. I am from Corcoran, California, and I enjoy being outside, and watching baseball. Go Giants! I am going to Peru because I want to serve others. I really want to do something that will make a difference for others, and this desire to serve others led me to the Peru Mission team. 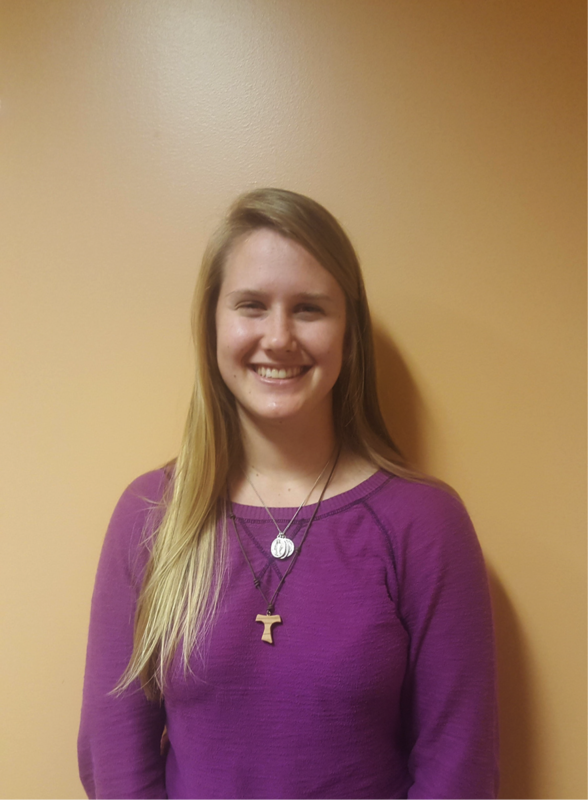 I am Mary Brady and I am a sophomore at Franciscan University of Steubenville, Ohio, majoring in accounting and finance. My hometown is Schwenksville, Pennsylvania, and a fun fact about me is that I am one of 10 children! I am going on Peru Mission because I have always felt like I am being called to serve as a missionary through acts of service as well as evangelization. I feel called in particular to serve the Peruvians and to bring Jesus to them. 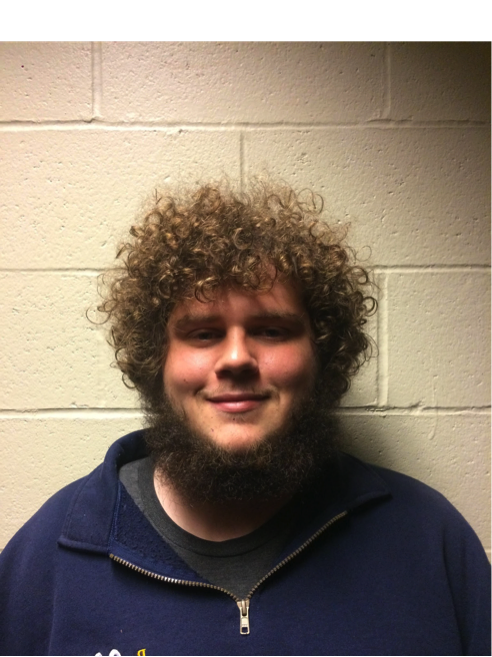 My name is Isaac Lipp, and I am a sophomore studying Spanish at the Franciscan University of Steubenville, Ohio. I am from Bowling Green, Kentucky. Some of my hobbies include playing sports, especially basketball, and I love telling jokes and being the guy that acts goofy for everyone. I’m also super dramatic and a show-off! I have never been on a mission before, but I would like to go to Peru because I want to serve the Lord in a physical way through manual labor. Also, I want to practice my Spanish. Here are some fun facts about me: I was homeschooled, and I have beat-boxing skills! ¡Hola! My name is Daniela Gonzalez. I’m a sophomore Communication Arts major at Franciscan University of Steubenville. I hail from the friendly Steubenville, Ohio, where you can often find me walking to campus or enjoying the sunshine. In the spring of 2017 I was fortunate enough to go on mission to Ecuador. I am going on this mission to Peru to grow closer to Christ’s redemptive love through prayer, labor, and total self-giving service. Hello, my name is Mary Anne Cortese. I am a freshman here at Franciscan University, and I am an International Business and Political Science double major. I am from Chicago, Illinois, and yes we have the best pizza (sorry East Coast). I love to travel and do high adventure things, and just be in the peacefulness of nature. I have been on a few missions before to Tennessee, North Carolina, Indiana, and Minnesota, and I love serving others. I have felt a deep calling to go to Peru for a while now, as I feel the Lord calling our mission team to do some great work there. My name is Sofia Esmeralda Cantu, I am from San Antonio, Texas, I am a senior Spanish major. Fun facts: I was 11 pounds when I was born (the biggest baby in the hospital! ), I love little babies and dogs, I like to run and one day want to run a marathon, I absolutely love the song Sunday Candy, I am the youngest of three, I am the proudest aunt of 4 beautifully smart little girls who are my entire world, I love margaritas and reading articles from Verily magazine, my biggest hope in the world is to one day swim next to a blue whale. The first time I felt called to mission was when I realized I can be the person who shows others that suffering and sacrifice are the deepest forms of Love. Then again I felt called to mission simply to share my testimony because people are hurting and they don’t want to feel alone, and when they hear a similar story and can relate that is when God works, in the relationships, I share my testimony as a praise song, because through suffering you find yourself face to face with God. Lastly, I was called to this mission in particular because throughout my trials I still have to choose to love God above everything else, I have to lift my head above the noise and distraction and listen to the quiet way God is leading me, I have to choose to love Him everyday, and He is making it clear that I don’t want to do this mission because of the place, or people on my team, or it’s something easy, I want to do mission work because I am His beloved one chosen to evangelize and set the world ablaze with our love, with my simplicity, haha, because that’s the only way I know how.